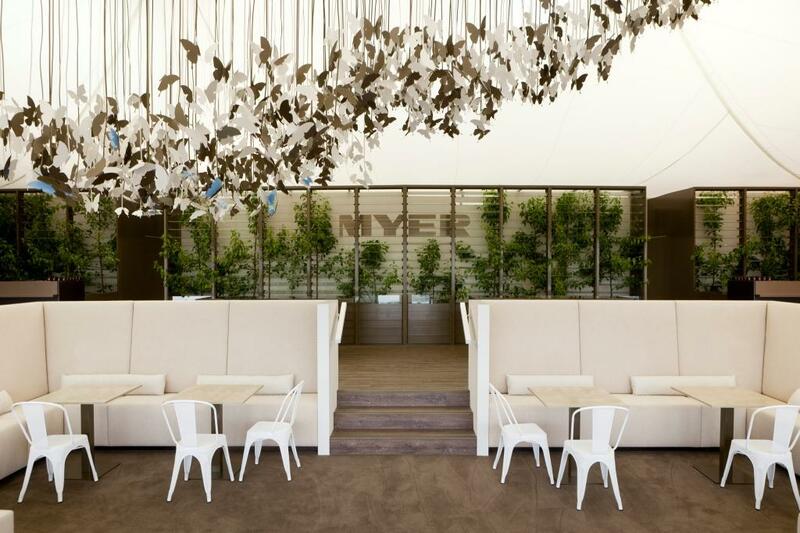 Breezway was approached by design company, Gloss Creative to incorporate Altair Louvres into the Myer Marquee (named ‘The Butterfly House’) at Flemington Race Course for the 2011 Spring Carnival in Melbourne. 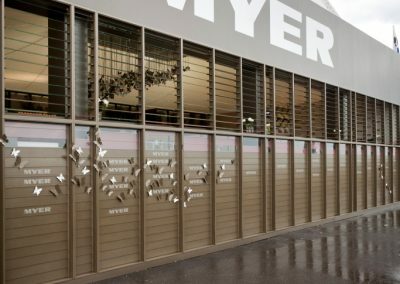 Altair Louvres in an Anodic Bronze Satin Easyscreen Frame with colour matching clips and handles were installed out the front of the Myer Marquee as a feature wall with a combination of clear glass and aluminium blades. 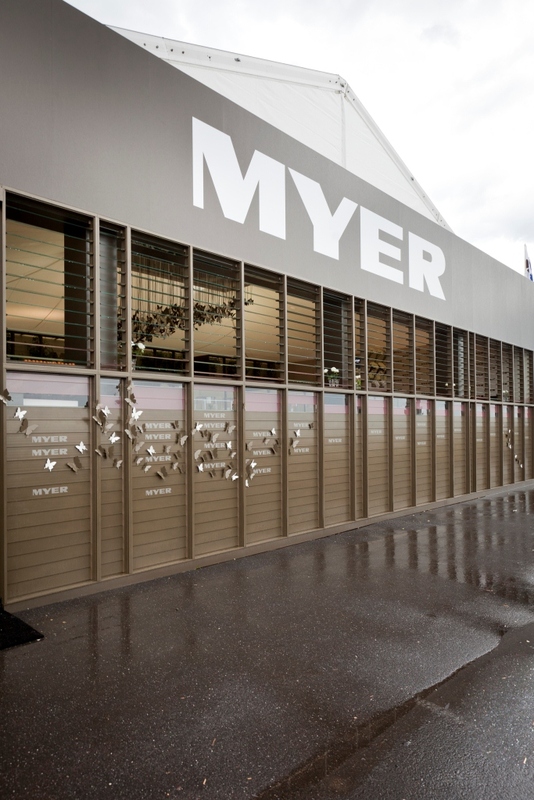 Internal louvres were also creatively displayed with clear glass blades at the back of the Marquee. 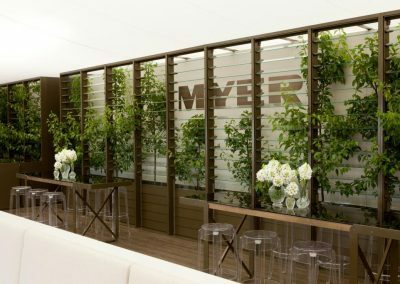 The Butterfly House was decorated beautifully by Gloss Creative with static butterflies strategically placed around the Marquee and included a lovely display of flowers by world renowned florist Jeff Leatham. 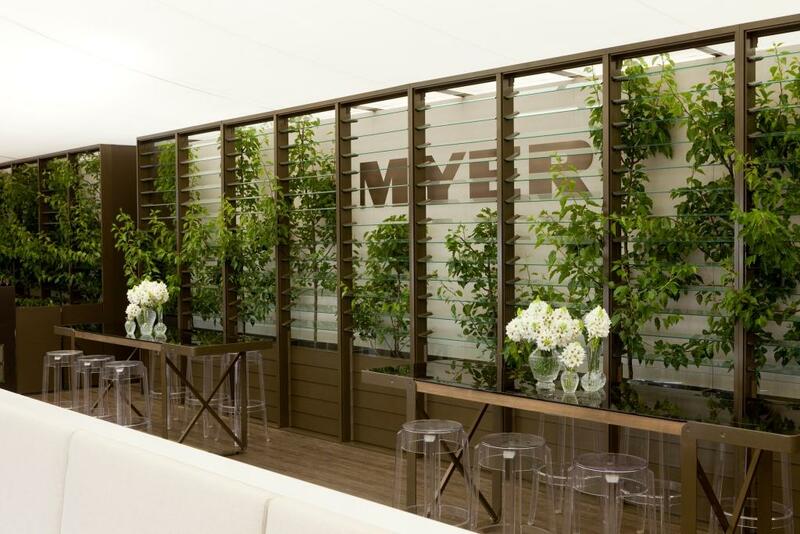 All this was creatively captured in the images attached by Architectural Photographer, Marcel Aucar. 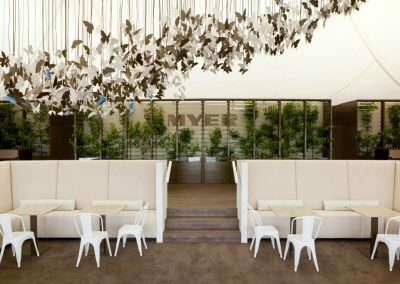 The Marquee was featured on numerous Australian Television Channels including the ABC, 7, 9 and 10 with air time on all major news programs as well as Today Tonight, A Current Affair, Sunrise and the Today Morning Show.